The Ultimate Resource for the Beetle Enthusiast: Beetles fascinate hobbyists with their vivid colors and patterns, strange forms, and unusual behaviors. Some species are well-known to beetle breeders, but there are many others that have yet to be kept or bred by more than a handful of dedicated enthusiasts. 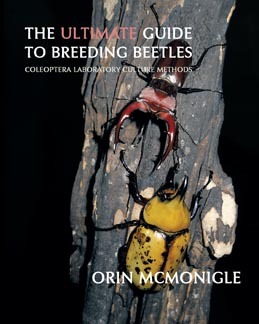 Orin McMonigle provides detailed husbandry and breeding guides for a wide range of species, from the popular rhinoceros and stag beetles to darkling, diving, and dung beetles. 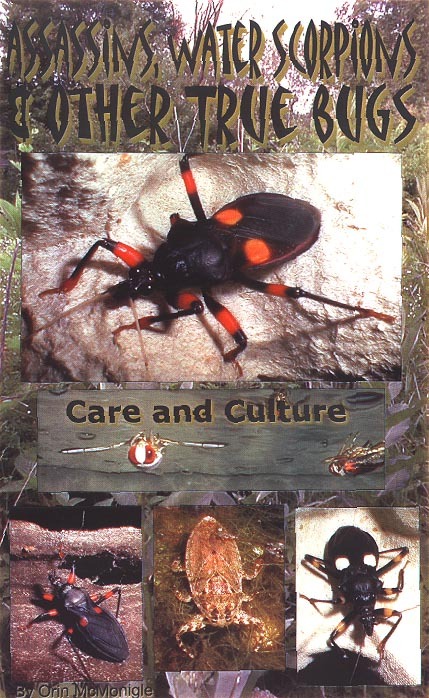 This book is the result of years of experience and experimentation, with unprecedented details in caging, feeding, and environmental requirements for all stages of the beetles’ lives. The breeding guides offer the best chance to form healthy ongoing colonies of these incredible creatures. 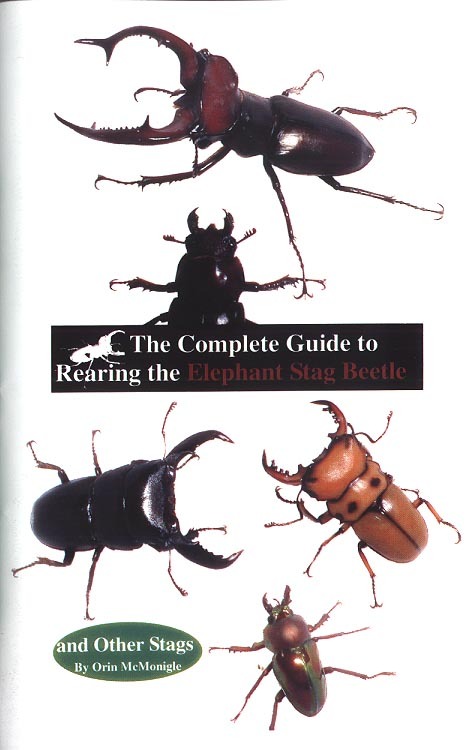 This is the ultimate beetle book for hobbyists, breeders, nature museums, and insect zoos. Welcome to the world of beetles! 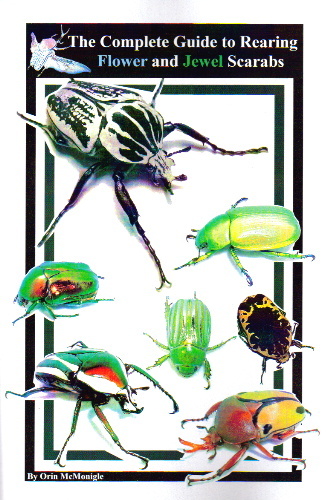 Categories: Invertebrate Books, Invertebrates, The Bookshop, The Bugshop. As Poultry breeders we are well aware of products that do what they are supposed to and those that are hard to source. Hopefully, we can cater for your needs. We stock an extensive range of unique Reptile, Invertebrate and Avian related books & publications which can be purchased through our website. The captive care of invertebrates is an emerging hobby. Find all your invertebrate supplies (and some reptile equipment) in our unique shop. For all your avian wildlife rehabilitation and avicultural needs at competitive prices.